…as we enjoyed our hotel’s quaint continental breakfast of eggs, potatoes, fruit, and bitter hot chocolate. Tip #005: Before taking souvenir photos, negotiate the price before snapping. Two blocks from our hotel, we saw an elderly woman who had two llamas with her. 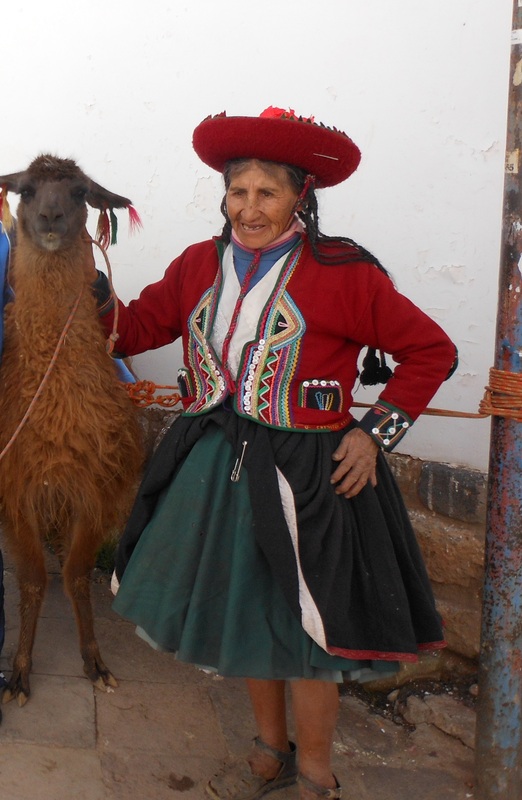 Her business was one of catering to tourists who felt they needed to have their picture taken with a llama to fully complete their Peruvian adventure. We asked if we could snap some shots with her and her livestock and she agreed (proof below). However, after the shutterbugs had been satisfied, she asked for a fee that we all thought was a tad too much for two photos. After (to me ears) a confusing cacophony of Spanish and Quechua, we placed in her hands money equivalent to 75% of what she was asking. As I have written before concerning taxis, one should always settle on the price first. Lesson learned. Tip #006: Wait for people to clear out before taking shots of famous landmarks. Tip #007: For all your Nativity scene needs, come to Cusco on Christmas Eve. 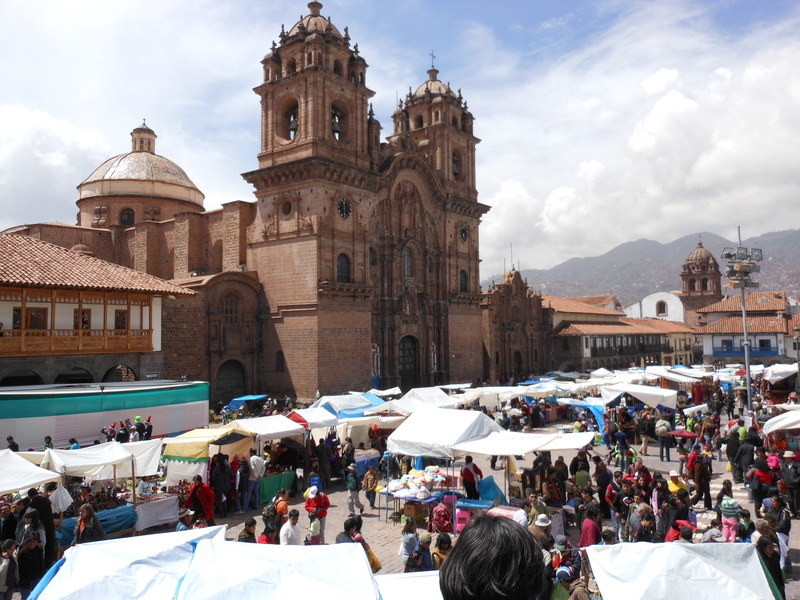 On the day before Christmas, the central square of Cusco, the Plaza de Armas, is turned into a gigantic marketplace. 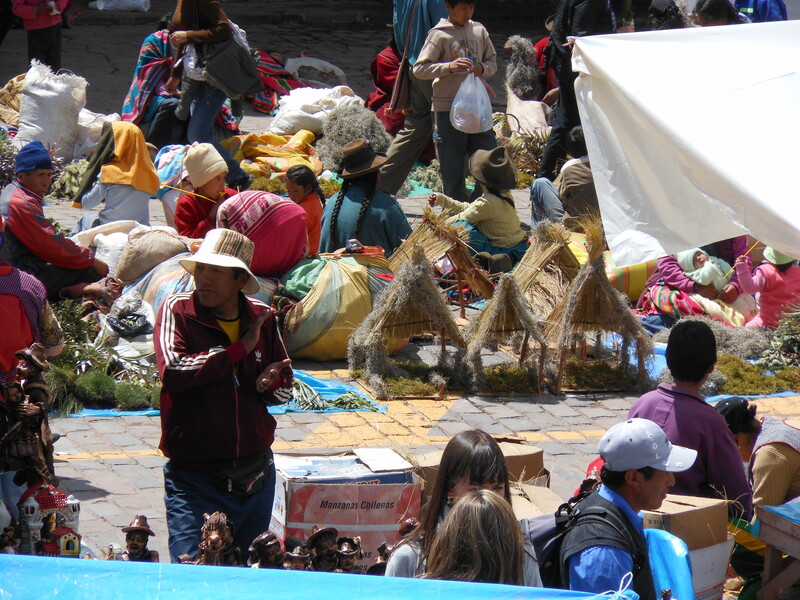 This bazaar has all the typical touristical items one could want to prove that they had indeed been to Peru. There were shirts with llamas on them. 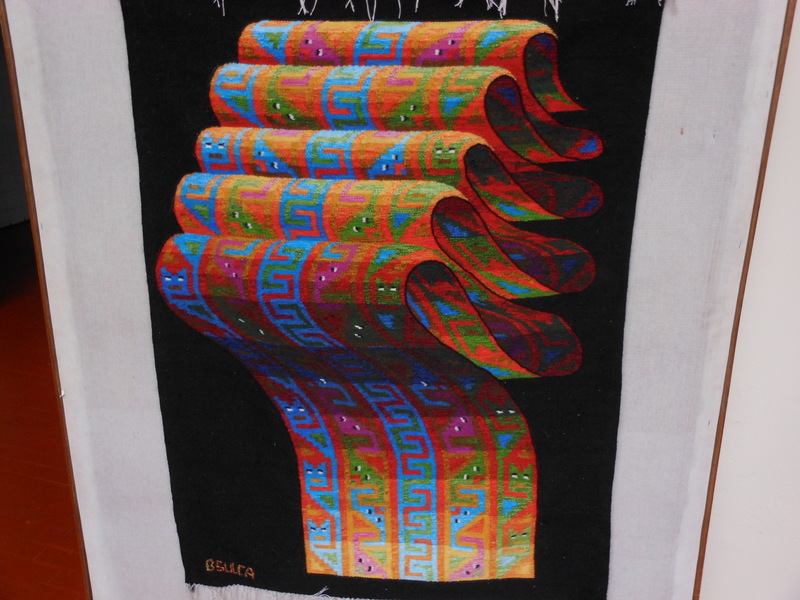 There were caps, gloves, sweaters, and all manners of socks sewn with llamas, pumas, and other Incan motifs. 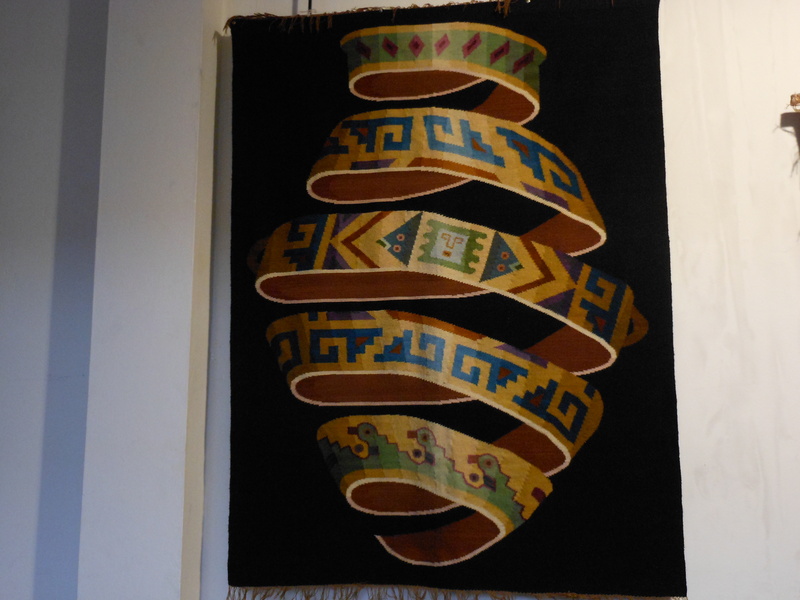 There were chessboards with Conquistadors facing Incas. There were key chains, pins, magnets, and stuffed animals (llamas, alpacas, and cuys) galore. However, as this was the day before Christmas, this marketplace also had the most extensive collection of items for sale for Nativity scenes. Everything, and I mean everything, that you might need for your Nativity scene is here. There are, of course, figures for the baby Jesus, Mary, and Joseph, but also sold here are clothes in all sizes for said family members. Here, you can buy individual animals (sheep, donkeys, chicken) that might have gone missing from the last time you displayed your crèche. Each Magi is available for sale just in case your collection is short a Gaspar, Melchior, or Balthasar. Gold, and frankincense, and myrrh sold separately. Tip #008: Visit the Choco Museo. It’s a museum devoted to chocolate. What’s not to like? Which human "bean" are you? Tip #010: On Christmas Eve, don’t expect to sleep. A month ago, our gardener told us of a custom celebrating by Peruvians on the night of December 24th. He said it was the tradition folk to light off fireworks to celebrate the arrival of the holiday. In my head, coming from the litigious-heavy portion of the hemisphere known as the United States, to “light off fireworks” meant a few firecrackers here and there with the occasional sparkler to herald in the birthday of Jesus. This is where you should mentally hear that game-show sound effect of a person giving the wrong answer. For the whole night – until exhaustion overtook me around 1:30am – I was awakened by the sound of the neighborhood ablaze with pyrotechnics that I would classify as “professional-grade”. 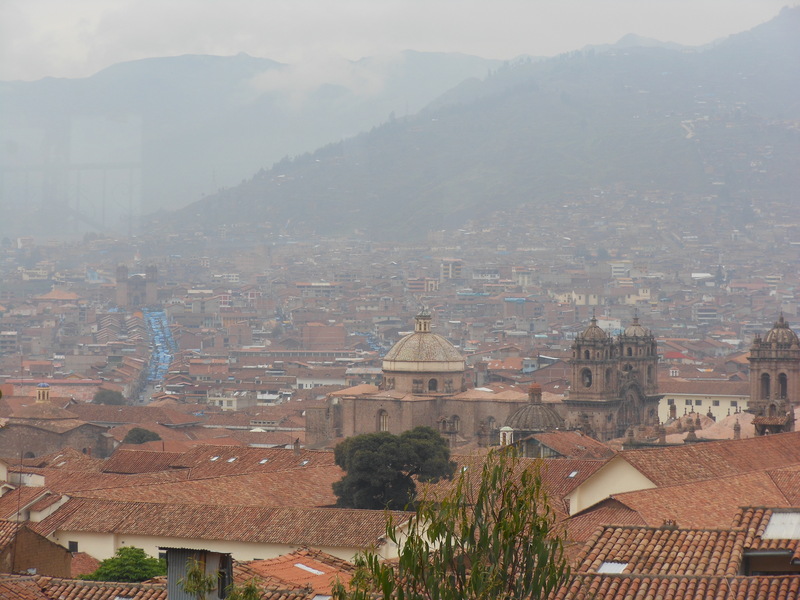 Rockets bursting in air and streamers of all sorts of chromatic hues lit up the Cusco night skyline as citizens exploded more black powder than Adam Savage and Jamie Hyneman do in a season of Mythbusters. Definitely not a silent night. 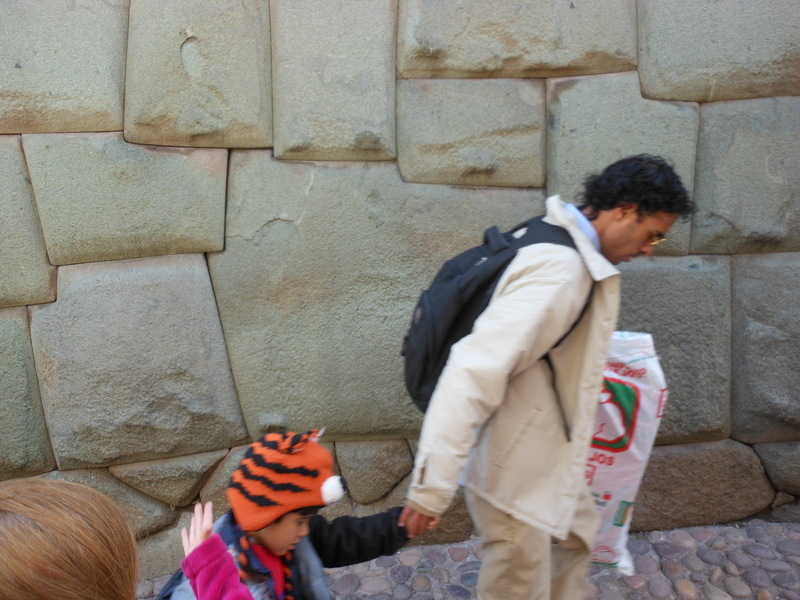 Posted on January 14, 2012, in Difference, Peru and tagged chocolate, Cusco, llama, Nativity scene, Peru, Plaza de Armas. Bookmark the permalink. 6 Comments.